With today’s struggles with carbon footprints, pollution, and finite energy sources, people are becoming more environmentally conscious. And if you’re thinking of transforming your home into a more eco-friendly structure, there’s a lot to consider. If you want to stray from your oil, gas, or electric heating system, consider investing in a biomass heating system for a more natural alternative. Doing so can help you minimize your contribution to pollution. For more information about biomass heating systems and how they’ll work for your home, read on. Biomass fuel is essentially any biological fuel that can be burned. Common biofuels can include straw, grain, and grass, and if it’s processed properly, even industry residue or animal waste can be transformed into biomass fuel. The most common biomass fuel is wood, and wood can be turned into a few different forms for biofuel: pellets, chips, briquettes, and logs. These distinct wood products offer unique benefits and efficiency levels. What Biomass Fuel Is Best for Homes? If you’re looking for an easy supply of biofuel, look to wood options. But if you live in a rural area, you may also want to consider corn feed or other corn biofuel products. When looking at wood, you want something that’ll effectively heat your home while using the least material possible. While logs can easily burn, they may not be the most efficient option, and they also don’t burn as cleanly as wood briquettes or pellets. Because wood chips can offer a number of issues with storage, handling, and transport on a residential level, you may want to avoid those as well. Wood briquettes and wood pellets are the best options for homes. Both undergo a similar production process, but briquettes are about the same size as a small log, and pellets are usually 10 to 25 millimeters in length with a diameter of six millimeters. They burn more efficiently than many other options, and they’re fairly clean to burn. 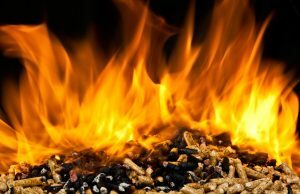 To determine whether briquettes or wood pellets are right for you, determine what kind of system you’d like and what kind of maintenance you’re willing to do. For instance, with an automated pellet boiler, the pellets only need to be reloaded every few days while the ash needs to be emptied on a weekly basis. If you’re a bit more dedicated to your heating system, a briquette or log boiler needs the ash cleared each week and the materials need to be reloaded daily. What Are Your Appliance Options? When selecting the best biomass appliance for heating your home or water, you have three main options: stove boilers, stoves, and boilers. Depending on what you’d like to heat with biofuel, one option may be more beneficial than another. But be wary that biomass heating options can cost more upfront than some more common heating systems. Biomass boilers work like any other oil-fueled boiler. With the right fuel, the boiler heats the water, providing warm showers and hot dishwashing water. The main difference is that you have to refill the fuel much more often to keep it going, and you need to regularly empty the ash to avoid issues. Stoves are essentially space heaters. The fire is fueled by pellets, briquettes, or logs, and warmth radiates through the room and other areas. You can place these appliances in a popular family room or other central areas of the home. Wood stoves accommodate logs or wood briquettes, and you have to periodically throw in more fuel for consistent heating. Pellet stoves can accommodate all kinds of materials, such as wood pellets, corn, grain, or seed. The device has an automatic feeding system, so you can wait a couple of days before refilling the fuel. Whether you choose a pellet or wood stove, be sure it’s installed by a knowledgeable professional. Installation mistakes can lead to hazardous conditions for your family. Also, plan for extra installation costs for both the appliance and the chimney. Biomass stove boilers are generally a combination of boilers and stoves. The appliance works much like a stove, except there’s a boiler toward the back to heat water and send it through your home. However, the stove needs to run consistently to produce warm water, so you need to consider whether or not you’ll use the stove all the time for central water heating. If you live in an area with hot summers that make a running stove unbearable, you may have to look for a separate alternative. Is a Mixed System a Good Idea? If you’re unsure if you want to rely entirely on a biomass stove or boiler, consider a mixed heating system. Installing an air-source or solar thermal heat pump for those odd chilly mornings in the summer and spring can be a cost-effective option, allowing the biomass heating system to take on the bulk of winter and late fall. When you want a more environmentally friendly home, install biomass boilers or stoves for effective, clean heating. While they may be more expensive initially, they can reduce your pollution and provide a great heating source, even when the power is out. If you’re thinking of producing pellets or other biomass fuels for residential areas, rely on Uzelac Industries Inc. We can help you produce clean biofuel on a large scale so you can put a quality product into the homes of environmentally conscious customers. Wood pellets and biomass energy sources in general – contribute towards reducing greenhouse gas emissions. Burning wood pellets for fuel is considered to be a “carbon neutral” practice, because the carbon dioxide that is released while the pellets are burning is roughly equivalent to the amount of carbon dioxide that was captured during the growth of the source vegetation. As we continue to properly maintain our woodlands by growing trees to replace the ones that have been harvested, the life cycle of our wood sources becomes truly sustainable, resulting in very little to no net carbon emissions. Wood pellets are highly compressed, low-moisture and extremely dense, which allows for a very efficient combustion process. In addition, wood pellets are 100 percent natural, which means that they do not contain any additives or chemicals that could be harmful or toxic when incinerated. 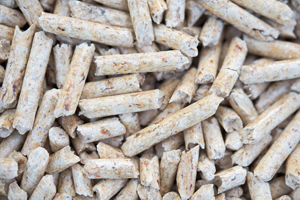 Wood pellets also burn clean, producing no smoke, unpleasant smells or excessively dry air. Wood pellets are one of the most economical fuel sources available, being less expensive on a per-use basis than heating oil, electric resistance or propane. The cost to heat your home with a wood pellet stove will typically average around $50-$60 per month during the winter season, versus the typical average of $250 per month for fuel-heated homes. In addition, wood pellets are largely a regional fuel source, as the United States has a robust and rapidly growing wood pellet manufacturing industry. This means that the cost of production, storage and transportation of wood pellets is typically lower by comparison than other fuel sources that are imported from other countries. Using wood pellets is a great way to reduce environmental waste. Since wood pellets are produced primarily from wood chips, sawdust, bark, and other waste products from the lumber industry, converting this scrap material into a fuel source essentially reduces the amount of waste that ends up in our landfills. As the world’s energy demands continue to rise, it only makes sense to seek out alternative sources of fuel that can offer efficient performance while producing minimal negative environmental impact. Biomass wood pellet products are the perfect fit for this purpose, and if the rapidly increasing demand for wood pellets is any indication, it appears as though households all over the world are getting the message. “Sustainability” is a major buzzword in the energy sector. In the face of climate change, national governments and global organizations like the United Nations continue to encourage the use of sustainable energy sources. In this blog, we’ll examine what makes biomass sustainable, specifically plant-derived biomass like wood pellets. A sustainable energy resource can be defined as a substance or method that supplies energy without itself being used up or destroyed. In other words, sustainable resources can be renewed or replaced in a reasonable timeframe. Some energy resources clearly don’t qualify as sustainable. Fossil fuels are the prime example. Coal, natural gas, and oil take hundreds of millions of years to form. Animal and plant matter must be subjected to intense pressure before they become these important energy sources. Clearly, humans cannot mimic this natural process and quickly replenish our supply of fossil fuels. On the other hand, some energy resources are very sustainable. For example, solar energy constantly beams down on earth, supplying energy that can be captured and converted into electricity. No matter how much solar energy we use, the amount available to us remains roughly the same. What about the sustainability of biomass? Biomass consists of plant materials that can be burned to create heat or other forms of energy. Unlike the plants that became fossil fuels, the plants that are turned into biomass can be replaced with new plants. The new plants will grow in a much shorter time than it takes to make fossil fuels, making biomass a more sustainable form of energy. Of course, the fact that trees grow faster than fossil fuels form is not the only reason biomass qualifies as a sustainable resource. Consider the three reasons listed below as well. Some critics of the biomass industry point out that it is not as sustainable as other energy sources. For example, it takes longer to grow a tree than to capture wind or solar energy. The critics use that argument as a reason to discourage the use of biomass altogether. However, that argument would only truly matter if biomass became the primary energy source for the entire world. Proponents of biomass are not proposing that as a solution to the climate-change-related energy problems. Instead, they put forth biomass as part of the solution and encourage the use of other sustainable energy forms as well. Some biomass supporters even propose using existing equipment to burn wood pellets instead of coal. In cases where this is an option, biomass becomes a practical way to produce energy. Much-needed energy can be made available, but no significant financial investment in other sustainable energy sources is required upfront. Many biomass critics also have a false image that the production of wood pellets is only possible after forests are cut down, with those trees being turned entirely into biomass. That is a misconception. In truth, wood pellets are frequently made from the “spare” parts of trees that are unsuitable for other uses, such as timber. These parts include skinny branches, limbs, and tree tops. The creation of biomass wood pellets should more appropriately be seen as a way to avoid waste. Compare wood pellets to other ingenious uses of spare parts. For example, after harvesting their crops, potato farmers separate the more aesthetically shaped spuds from large and lumpy ones. The nice-looking potatoes get bagged or boxed and sold whole to consumers, but the ugly potatoes still get used. Frequently, they become dehydrated potato flakes or pearls that have a similar nutrition value to the whole potatoes. Biomass also has a supporter in US Secretary of Agriculture Tom Vilsack. According to an article on the Daily Caller, Vilsack wrote a letter that praised biomass because it “improves our forested area” and “improves US forest management practices.” In short, biomass energy sources like wood pellets actually lead forest managers to use tree-covered lands more wisely. Biomass does not automatically lead to drastically diminished forests. Similarly, Vilsack also noted that biomass creates “new economic opportunities for low-value wood.” Vilsack conjectured that these economic opportunities will ensure that forested lands continue to be used for forests. The owners or managers of these lands will avoid selling them to developers for a large, one-time pay-off that ultimately leaves the land devoid of green life. Instead, they’ll continue to see forestation as a viable way to turn a profit. By that logic, biomass actually preserves forests and contributes to its own sustainability. When used as part of the global shift towards sustainability, biomass is a viable and reliable source of energy. Explore our other blog posts to uncover more reasons biomass is a growing industry. The biomass market has experienced several significant changes over the past few years, not the least of which is the notable increase in global demand due to the growing use of biomass pellets for industrial power and home heating. Annual global production of biomass wood pellets has ballooned from only 2 million metric tons in 2000 to 28 million metric tons in 2015, and according to a study released by Zion Research, the biomass pellet market is expected to realize a compound annual growth rate of 10.9 percent until 2020. There are a number of key factors contributing to the dramatic growth in demand for biomass products. For one, governments of developed nations all over the world are introducing initiatives and regulations to promote the consumption of sustainable energy sources in order to decrease reliance upon non-renewable fossil fuels such as coal, oil and natural gas. One of the most salient examples of this is the recent policy shift that Japan has made towards increasing the proportion of renewable resources in its energy portfolio. 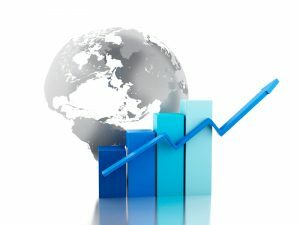 According to documents published by its Ministry of Economy, Trade and Industry (METI), Japan aims to expand the percentage of renewable resources in its energy mix from the current level of one percent to 23 percent by the year 2030, with biomass products comprising roughly four percent of that projected total. Burgeoning demand from other countries in the Asia-Pacific region has contributed to the growth in the biomass market as well. For example, in recent years South Korea has embraced biomass products as an increasingly important staple to help meet their growing energy demands. In 2012, Seoul issued a compulsory quota known as the Renewable Portfolio Standard (RPS), which aims to deliver at least 10 percent of their energy output from renewable sources by the year 2022. In addition to ratcheting up wood pellet imports from North American and European suppliers, South Korea is also embarking on an ambitious program that will see the construction of at least eight new industrial wood pellet manufacturing plants in order to bolster domestic production. While Asian demand for biomass energy sources is doubtlessly heating up, the European Union remains the de facto “engine” for the industrial wood pellet market. 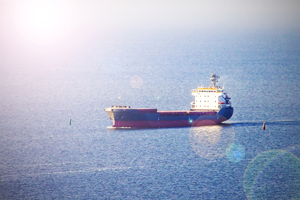 According to Biomass Magazine, North American exports of wood pellets to Europe reached a record high in 2015, with overseas pellet shipments totaling 6.1 million metric tons, which is nearly quadruple the amount of exports recorded in 2010. This robust demand is being driven in part by the European Union’s Renewable Energy Directive, which requires the 28-member super-state to fulfill at least 20 percent of its energy needs with renewable sources by 2020. In light of the EU’s aggressive policy goals, conservative estimates suggest a consumption level of at least 24 million metric tons of biomass wood pellets in the European Union by 2020, with almost half of that total coming in the form of imports. It’s not hard to see why the world market is turning its attention to biomass wood pellets as an alternative to coal and other traditional fossil fuels – they’re sustainable, safe to use, friendly to the air, and easy to store and transport. With the general push towards renewable energy sources taking a more prominent role in the political and economic arena, the trend towards increased global demand for biomass wood pellets only looks to continue. Wood pellets provide a clean and efficient energy source. However, not all wood pellets are created equal. Lower-quality pellets won’t burn as cleanly or as efficiently. If you use pellets to heat a private home, a public school, or an industrial factory, you want to choose pellets that will produce the desired heat while protecting your equipment. And if you produce biomass pellets, you obviously want to make reliable, high-quality pellets for your clients. What characteristics determine the quality of a biomass pellet? This post will reveal those important traits and offer tips for producing the best pellets possible. What Traits Make a Good Wood Pellet? The quality of biomass pellets depends on several factors, including the state of the materials, the equipment you use to make the pellets, and steps in the manufacturing process. The wood that becomes biomass pellets must be ground or milled before it’s formed into pellets. Finer particles can bind together better and will produce more durable pellets. Any particles that are too large can cause cracks in the final product. However, the particles should not all be the same size; some variance in particle size also encourages the particles to bind together tighter, creating more compact pellets. Pellet materials do require some moisture to properly bind the particles together, but too much moisture can be problematic, and the pellets may not burn as well. The best moisture content is between 8 and 12 percent. Keeping within this range produces the highest quality pellets, and wandering outside these percentages can produce poor-quality pellets. For strong inter-particle bonding, the proper amount of pressure must be applied to the materials. This pressure releases natural binding agents that are present inside the wood particles. Common natural binding agents include pectin and lignin. Many pellet mills apply high pressures between 100 and 150 megapascals to form wood pellets. When producing biomass pellets, the right equipment determines in part whether durable pellets are the final product. The machine must be set to cut pellets with a small diameter. If the pellet diameter is too small, the machine may clog easily. The speed at which the equipment operates also plays a part in the quality of the pellets. Less dense woods should be cut into pellets at a slower pace, about four or five meters per second. That speed allows the material to press together and release the air between the particles. For denser materials, if you’re looking to get pellets between three and six millimeters thick, run the materials through at about ten meters per second. For pellets with a diameter of six to seven millimeters in diameter, the ideal speed is around six to seven meters per second. Binders can be added to improve pellet density and durability. Some typical wood pellet binders are bentonite, colloids, starches, calcium hydroxide, proteins, and calcium lignosulfonate. However, some binders may cost more than others, and price can determine or limit which binders are used during pellet production. If the pellets aren’t properly cooled after processing, they can easily develop cracks. These cracks occur as the inside of the pellet cools as a slower pace than the outer portion. Cracks decrease the durability of pellets. Correct cooling practices can help solidify the pellets and strengthen inter-particle bonds. A common practice is to cool the particles to about five degrees Celsius above room temperature. Pellets cooled this way should appear smooth and have no visible cracks. Why Does Wood Pellet Quality Matter? Wood pellets with these traits won’t burn cleanly or efficiently as possible. Also, they may not feed easily into the burner pot, causing clogs. Excessive dust can also clog up the feed process. High amounts of moisture can lead to inefficient burning. High ash content affects how cleanly the pellets burn. How Can You Make High-Quality Wood Pellets? If you’re looking to make excellent pellets, start with quality materials, and use top-notch equipment. If you see excessive dust on or cracks in the finished product, do a little troubleshooting to figure out what the problem is. For example, alter the pellet diameter or the speed at which you cut them. Once you’ve successfully manufactured your pellets, test them and ensure they’re meeting quality standards. Again, a little troubleshooting can help. If the pellets burn slowly, thoroughly examine your materials and ensure the particles have an optimum moisture content. If you’re searching for reliable equipment, depend on biomass specialists such as Uzelac Industries Inc. They can discuss your needs and help you make the most of any potential biofuel. They’ll work with you to determine what equipment you need before writing up project plans. Wood Pellet Market Continues to Rise in Japan – What Does This Mean for the U.S.? Over the past couple of decades, Japan has taken aggressive steps towards increasing their use of renewable resources in order to fuel the nation’s growing energy needs while also reducing carbon emissions. The Japanese government has introduced a litany of regulations and policies to achieve those ends, generating considerable demand for biomass energy products that can serve to curtail coal consumption while maintaining consistent energy output. Industrial wood pellets are beginning to occupy a more prominent place in Japan’s increasingly diverse energy mix, and they’re being used to serve two primary purposes: First, for industrial use to generate electricity via cofiring with coal; and secondly, for domestic use as an energy source for home heating. While Japan has taken steps to develop their own wood pellet manufacturing facilities, they face significant obstacles due to a combination of factors which include a declining timber trade, a decrease in the number of forestry workers and sub-standard management of timber resources. This has led to an increased demand for wood pellet imports from nations with well-established biomass industries, including the United States. The International Trade Association recently stated that the current level of industrial wood pellets being imported by Japan is only half of the country’s consumption rate; in addition, according to one whitepaper published by biomass consulting firm FutureMetricsLLC, Japan is poised to demand in excess of 15 million metric tons of wood pellets per year by the mid-2020’s. As mentioned earlier, Japan’s robust demand is being driven by several government policies and incentives that are designed to reduce the country’s dependence on oil, coal and natural gas by boosting the amount of alternative fuel sources in its energy portfolio. According to METI, Japan’s official agency for natural resources and energy, only 1% of Japan’s power sources are comprised of renewable energy (excluding hydropower), but the goal is to increase that proportion to 23% by the year 2030. Biomass products – primarily wood pellets – are expected to make up 4.3% of that projected total, which would translate to a power output of roughly 45.8 gigawatt-hours per annum. One of the major incentive programs adopted by the Japanese government to achieve this output is the Feed-in Tariff (FiT). Under this program, independent power producers (IPP’s) have the ability to enter into long-term sales agreements at various rates based on the type of energy being supplied. For industrial wood pellets and other biomass, the current tariff rate is 24 yen per kilowatt-hour (25.20 yen tax-inclusive) over a 20-year period. Through the FiT program, Japan is targeting an installed capacity of approximately 2.17 million kWh of energy produced per annum by the year 2020. In terms of sheer volume, the United States is the single largest producer and exporter of wood pellets in the world. As Japan has entered into partnerships with the U.S. and other Western countries in order to boost its industrial wood pellet supply, many of its Asian neighbors (e.g., China, Malaysia, Thailand, etc.) have stepped in to compete as wood pellet exporters as well. While the U.S. may find difficulty competing with Asian suppliers solely on the basis of price, they do hold an advantage in terms of the quality of the pellets. For example, according to the International Trade Administration, pellets from Vietnam were recently found to contain small amounts of rice, which compromised the functionality of boilers in biomass power plants. Meanwhile, the U.S. looks poised to continue expanding its market share, as top-quality wood pellet mills are being constructed in various Southeastern states with well-established forestry industries such as Georgia, North Carolina and Alabama. With the current push for alternative fuel sources driving much of Japan’s energy policies, opportunities for robust growth in the U.S. biomass sector appear to be a given. Biomass Wood Pellet Production: Where Does Your Energy Come From? As an industry, wood pellet production continues to grow year after year. In fact, according to a United Nations report, global wood pellet production increased by 12% in 2013 alone, and experts estimate that the wood pellet trade could lead to international revenues of $11.5 billion in just four years. But the biomass industry is more than just a profitable one. If you’ve been a part of this growing trend and have followed our blog for a while, you know that countries across the globe, especially in Europe, increasingly rely on American wood chips to power their electrical plants, decrease harmful carbon emissions, and meet their energy goals. But where does all this wood come from? Here, we’ll discuss some of the main sources of wood-pellet wood in the United States and how different companies fight to ensure that wood remains a sustainable energy source for generations to come. Centuries ago, many parts of America were covered in thick, luscious forests. The percentage of American land that was completely covered in trees decreased with industrialization, but according to reports from NASA, approximately one-third of America is still filled with forests. Although around 33% of the world is still forested, areas like Europe have a very limited amount of wood resources. For instance, Great Britain is a relatively small island that has been industrialized for centuries. Compared the US, which was still expanding to the West and South as industrialization occurred in Europe, they have very few ways to access sustainable forests for fuel sources. In contrast, America is still heavily forested. If you’re an outdoor enthusiast, you’ve undoubtedly visited some of the most famously forested areas in the United States, like the mountain ranges of the Pacific Northwest or the beautiful blue hills of the Appalachian Trail. Unlike fossil fuels, trees aren’t necessarily a limited resource-they can, and should, be replanted. They also burn cleaner than coal does. They’re easy to harvest and, thanks to sturdy rotary dryers, easy to transform into easy-to-use wood pellets. Because of America’s wood, Americans and Europeans alike can benefit from a cleaner, more sustainable fuel source than fossil fuels. You might think that most of the biofuel’s wood pellets come from heavily forested areas like the Pacific Northwest. Actually (as you know if you’ve read some of our other blogs), the vast majority of biofuel companies source their trees from the American South, especially states like Georgia, Virginia, and North Carolina. In particular, many biomass companies use wood from southern yellow pines, which aren’t a specific type of tree but rather a designation for a group of similar trees. According to one study, since worldwide use of paper products in favor of electronic ones has decreased, the South currently has a surplus of southern yellow pines, which makes them a perfect choice for conversion to fuel. Other wood pellets are made from wood biomass waste, or the low-quality remnants of harvested or dying trees that can’t be used for furniture but can be used for fuel. The waste is dried, compacted into a pellet and burned. Some environmentalists have worried that using the South’s timber might contribute to environmental degradation over time. However, several entities, including the US Endowment for Forestry and Communities, the US Industrial Pellet Association, and the National Alliance of Forest Owners, banded together to study the issue and ensure the pellet industry wouldn’t negatively impact the area. The study the group commissioned found that the wood pellet industry’s goal to export sustainable wood to the European Union and Great Britain isn’t destroying the South’s woods. Instead, the study found that biomass companies are only removing a small percentage of the South’s timber-only around 3.3% of the area’s forests. The biomass industry’s investment in trees naturally leads to sustainably. Since biomass companies want their clients to always have a ready source of fuel, they invest heavily in replanting harvested trees and ensuring the areas they use for timber remain clean and healthy. Unfortunately, coal and oil exportation remains high, and mining for these two fuel sources, especially in the South, often does more environmental damage than harvesting wood for pellets does. Hopefully, as more companies transition to biomass fuel sources, the world will work towards a cleaner future with a more sustainable fuel source. An investment in wood pellets means a commitment to making sure America’s vastly forested lands stay that way. If you currently rely on rotary dryers to produce wood pellets, talk to our company about how to maintain your rotary dryer and make it as efficient and effective as possible. And if you’re thinking of transitioning to this energy source, get in touch with our company to learn how we can help. Simply want to learn more about the biomass industry? Browse our other blogs to get a feel for the industry’s goals, commitments, and recent innovations.